Below is my complete fight record, including amateur fights and even 1 boxing fight. Most recent fights are at the top and it is updated after each fight. You can scroll vertically and horizontally in the document. I’m a 45 kg (98 – 99 lb) fighter, walk around at 47-48 kg (103 – 105 lb). A few years ago when I first came to Thailand I spontaneously made it a goal to fight 50 fights, which at the time seemed like a mythical number that only a few Western women had achieved, including Sylvie Charbonneau, who fought out of Lanna for about 5 years and retired at 50 fights, just prior to my arrival the first time we came out to Thailand. Upon finding myself nearing that goal and then about to be surpassing it, I put a new number in my mind… 100 fights. 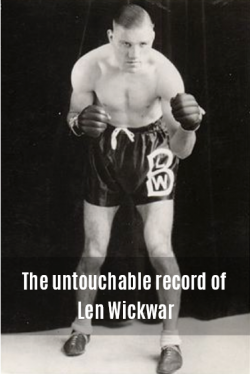 Below is a fight rate line calculated out to reach Len Wickwar’s 470 fights as of September of 2028, the 100th year anniversary of the birth of his record (1928). This is a ridiculous number, and I certainly rely on the support of my readers and fans in order to reach for such a game changing accomplishment. Wow! This is amazing Sylvie! I notice a lot of rematches. Have you ever wrote about that? I remember I easily won a fight by TKO (my opponent gave up in the third round) but in the end she wanted a rematch. I felt a lot of pressure mentally, and even though I won via decision I felt that I under performed. What do you think of all this rematches? I have written about it a few times, but not as a singular concept in a piece. I actually love the recurring match-ups because I believe it forces development in some ways. When I fight Yodying, for example, who I’ve fought maybe 10-12 times, she “knows” me enough that I can’t bank on the same tactics working all the time and vice versa – if she solves my clinch then I have to go back and work on it, find something else I can turn to when what I was doing stops working. In the west it seems we have a very different idea about match-ups and fighting in general. In Thailand I see rematches all the time, including the top fighters. But in the west we have a very strange assumption that one fight determines who is “better,” and maybe because of that assumption the rematch has more psychological pressure. If you already won, losing on the rematch might somehow mean you got lucky in the first fight or something. It’s silly. My own experience out here is, like I said, that rematches push development. And that goes back and forth. Even if you can beat someone 10/10 times, if they’re serious about what they do in any way they will at least be presenting you with new obstacles with each fight, forcing you to resort to your reserves or technique/skills that are not in your immediate arsenal. I’m excited for the Saenchai/Yodwicha rematch for the Lumphini Birthday Celebration this week! I fought about 25 times in Thailand (in about a year), and only rematched once; I really like your take on the whole thing! I think in the West too if you are offered a rematch it is usually only a one time thing, maximum two! It is also hard to get if you on the losing end. Boom has a rubber match coming up! First time they fought Boom really severely dislocated his shoulder. When he went back to his corner, they didn’t stop the fight, so when he went back out he just had to go down because the injury and pain was too much. The second time they fought Boom changed up his style a lot because it was right off the injury and he was worried about clinching; he won but it was close. So now we prepare for the third time, and I think all around this will be an amazing fight. Good job! I really respect what you’re doing. Apart from that, great blog. Gives me cravings for Thaïland! ha! proper obsessed like me 🙂 take care of your body man! I love this blog. After learning that it exists, I have been visiting many times per day. I am inspired by your dedication and amazed at how little of your voluminous content is ego-based. Small suggestion: If your tabular view of your fight record could have a column with the fight number (and have that fight number be a hot link that takes you to the fight blog post (i.e. http://8limbs.us/muay-thai-thailand/one-hundred-and-thirty-fourth-fight-rungnapa-por-muangpet) that would be awesome. The issue is that there is so much content here that spelunking is a bit difficult. 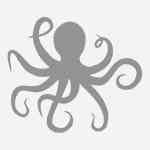 This site doesn’t work well with a back-nav. Tiny pedant issue: On Prajet Jee’s birthday: Samsip = 30, Sipsam = 13. small oversight. Please feel free to remove this naggy post from the comments page. Hey Douglas, thanks for the comment. Good suggestion about the linked fight number, I’ll see if I can do that, though it would take a bit of leg work. In the meantime there is a search box in the sidebar. If you type the name of an opponent you should quickly find the blog post (and video) to that fight, if it has been published. As to “Prajet Jee”‘s birthday, do you mean PhetJee Jaa? If so, can you link me to what you are talking about so I can fix it. Thanks, always good to correct typos! Sylvie, If you think that the nav column in the tabular dealio is a good idea, I can help with it. I get the impression that the tabular data is just a spreadsheet that is loaded to your wordpress. If so, I can populate a new column for you. — I’m something of a data/techie. Very inspiring keep training hard ! Hi Slyvie; Your videos and how you narrate them are exceptional. I am a fan of yours now! Do you have plans of fighting in UFC? I was most inspired by the string of losses at the start of your career. Your strength and love for Muay Thai to keep going past that is astounding. Just like Edison said, most people do not know how close they are to success before they give up. I am printing and framing a screenshot of that part. Wow. Thank you for taking the time to say so. It was a very different time, more than a year of losses. Many were telling me I was doing it all wrong, that I needed to find the “right” opponents, or that I needed to take a long break. I read somewhere where another female fighter went though this early in her career. She called it “surfing the apocalypse”. Walking away from the venue after my 5th loss in a row my husband said to me: Now you get to find out: Do you love fighting, or winning? At the very least it convinced me that I really do just love fighting, and that I believe that it is fighting that will make me better. I know you’ve said countless times before that you’re still a fighter and don’t see yourself opening up your own gym in the states but I’d just like to point out how many countless Muay Thai practitioners and fighters would be lining up to learn from you. What a privilege it would be to learn from someone who embodies Muay Thai and has an influence and inspiration that reaches worldwide. It’d be great respect to all your teachers to spread their wisdom and their knowledge and your experience over there to people in the states who’d like to learn rich and authentic Muay Thai and Thai culture/tradition and not just the watered down version you see these days on television and local gyms. Please don’t completely discard the idea! Just keep it in the back of your mind for when you come back to the states.